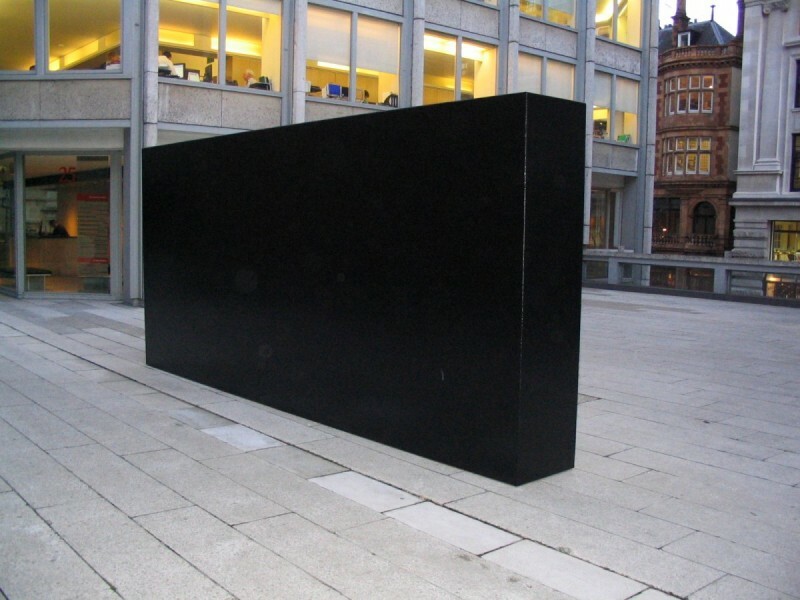 Following a recent exhibition at Timothy Taylor Gallery, London, the Contemporary Art Society and The Economist Group are pleased to present two monumental sculptural works by one of the most original and influential American artists, Tony Smith. 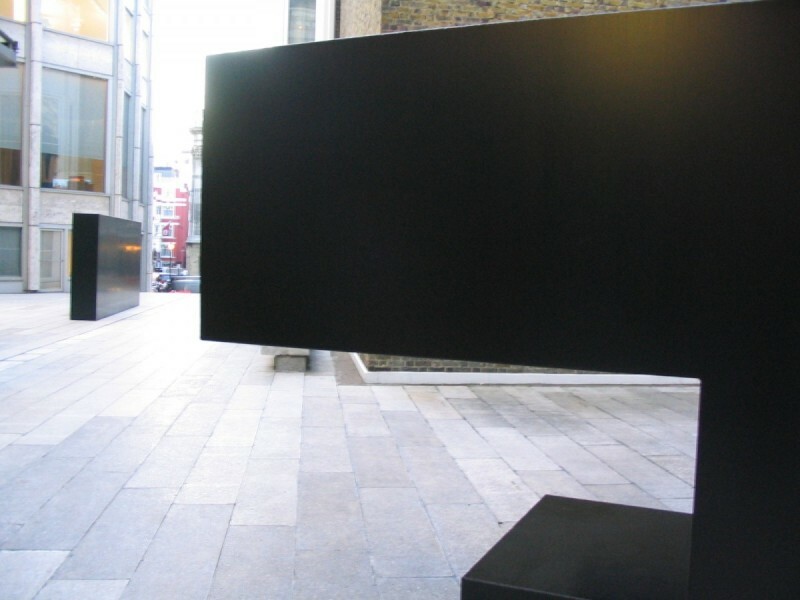 Wall from 1964, an 18-foot long monolith and The Keys To. Given! 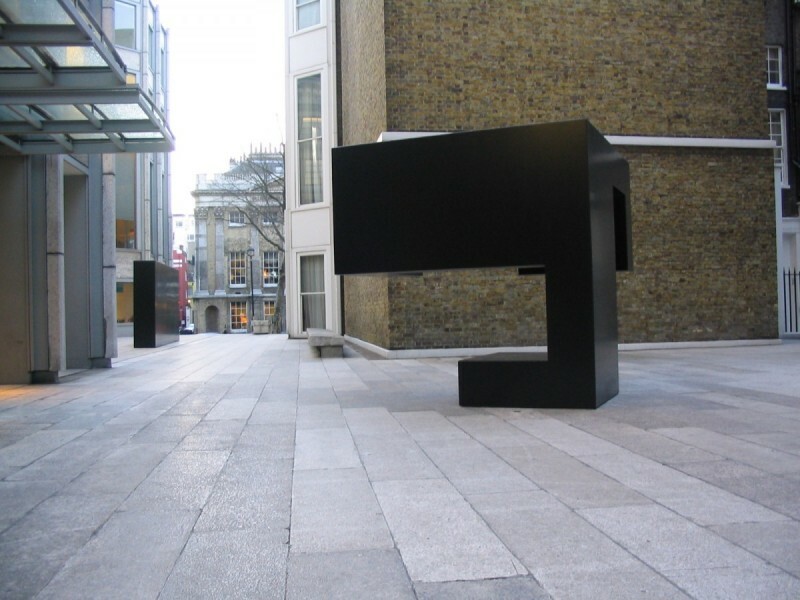 from 1965, are positioned in the centre of the Jermyn Street entrance to The Economist Plaza at St James’s Street. 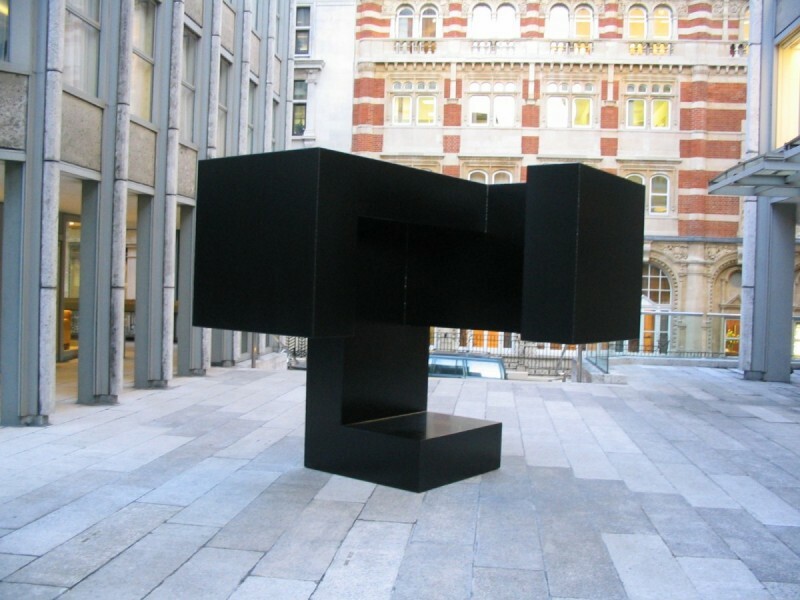 These are two of Tony Smith’s most influential sculptures fabricated in the artist’s signature black painted steel. Smith’s art was developed from interests that began as an architect working under Frank Lloyd Wright and his theories formulated since the 1930s with his Abstract Expressionist friends Jackson Pollock, Clifford Still, Mark Rothko and Barnett Newman. 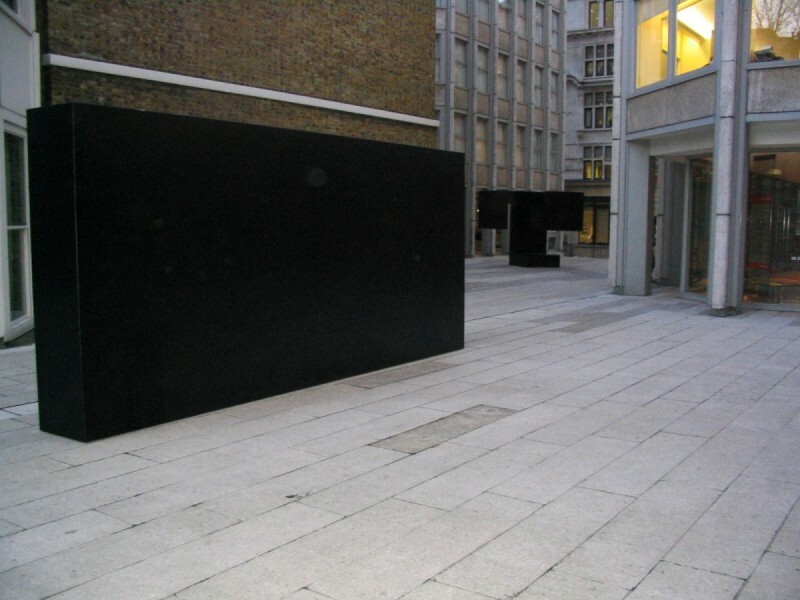 The siting of these works in the Smithson designed Economist Plaza is particularly poignant not only because of their architectural symbiosis but also because the Plaza was built in 1964 and is celebrating its 40th anniversary, as is Wall. Courtesy Timothy Taylor Gallery, London.